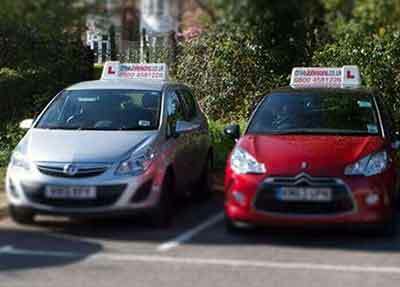 Our driving school in Bedford has a 92 percent first time pass rate. We have been established for over 10 years and we’ve had more than 1000 pupils pass first time with us in the Bedford area. Receive a free driving manual, theory training and more when you start your driving lessons Bedford with us, see below for a more in depth explanation of what we give you. Our driving instructors offer tailored intensive driving courses in Bedford which are suited exactly to your needs. The assessment lesson, exclusive to Drive Bedford, enables us to see how many lessons you will need and if you have any weaknesses in your driving which need to be worked on. You can pass in 1-4 weeks. Whatever your preference, we can help! We only use fully qualified driving instructors in Bedford. All of our instructors are CRB checked, local to the Bedford area, enthusiastic about teaching learners and of course, they have a high first time pass rate. We have a choice of male and female driving instructors, who teach their lessons in easy to drive, modern vehicles, which all feature dual controls to ensure your safety. We know that looking for a company providing quality but cheap driving lessons Bedford can be tricky. For your peace of mind, we don’t use trainee instructors to keep costs down. All of our instructors are fully qualified and hold at least 3 years teaching experience. We like to think that we provide help for our pupils in many ways; one of the ways we like to help is through our blog, where we give advice on the topics our pupils raise to us. Free online access to our theory test centre, including theory question and hazard perception practice. Online test route videos for the Bedford Test Centre. Get booked in for your driving lessons in Bedford today, before our sale ends and the prices go up!